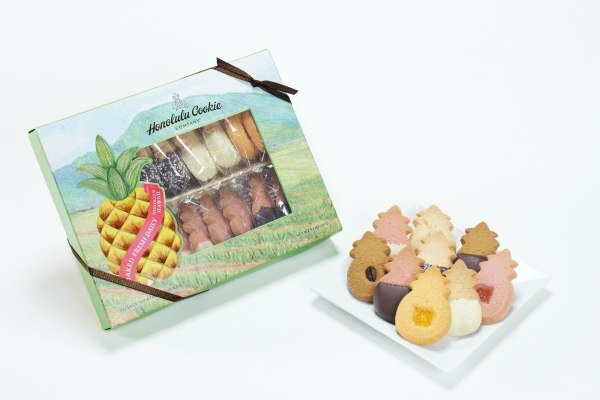 Mother’s Day is coming up and you might want to surprise your special person(s) with these freshly baked delicious cookies from Hawaii! 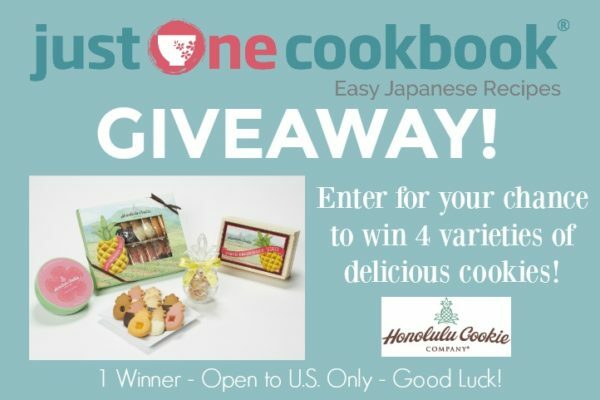 Today I’m partnering with Honolulu Cookie Company to give away four varieties delicious cookie boxes to one lucky winner! 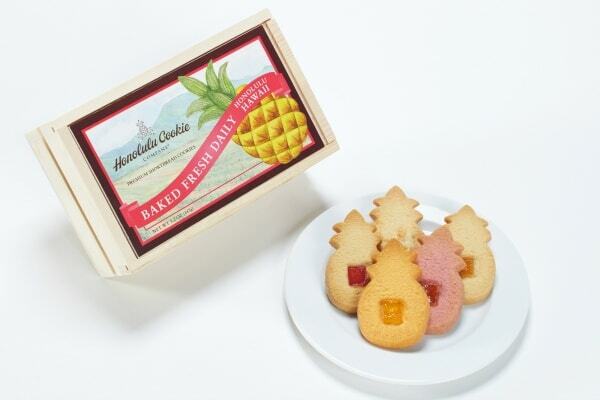 If you’ve been to Hawaii, you probably had a chance to try these cookies from Honolulu Cookie Company as they are very popular, or you might have received it as a souvenir. 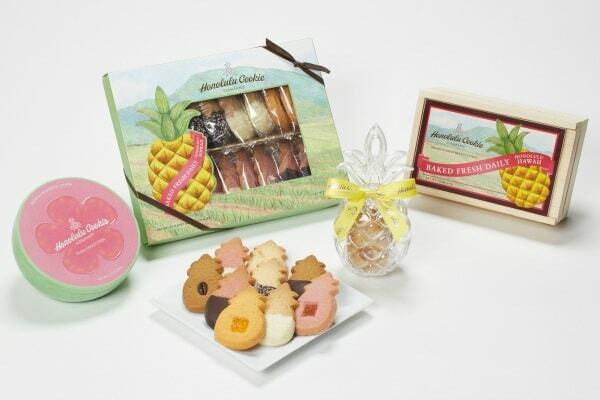 We’re giving away four kinds of boxes from Honolulu Cookie Company. Let’s see what each box comes with. Coconut, Dark Chocolate Coconut, Dark Chocolate Guava (New! ), Dark Chocolate Kona Coffee, Guava (New! ), Kona Coffee, Lilikoi (Passionfruit), White Chocolate Coconut, and White Chocolate Guava (New!) (italics is my favorite). Butter Macadamia, Chocolate Chip Macadamia, and Pineapple Macadamia (italics is my favorite). Dark Chocolate Guava (New! ), Guava (New! ), and White Chocolate Guava (New!) (italics is my favorite). Coconut, Guava (New! ), Lilikoi, Mango Macadamia, and Pineapple Macadamia (italics is my favorite). This giveaway contest closes on Sunday, May 7, at 12 p.m. PST and is open to US only (Sorry, but it’s due to sponsor’s shipping logistics). One (1) winner will be selected via Random.org and contacted via email, so please include a valid email address in the email address entry box (please double check your spelling!). The winner is required to respond within 48 hours to claim the prize. Ticket 2 (Optional): Follow Honolulu Cookie Company Instagram and then leave a separate comment below on this post. Ticket 3 (Optional): Like my Facebook and leave a separate comment below on this post. Full Disclosure: This giveaway is sponsored by Honolulu Cookie Company. 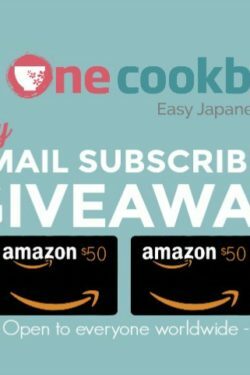 My wife loves cookies-great giveaway! I’ve follow Honolulu Cookie Instagram! I like your profile on Facebook! 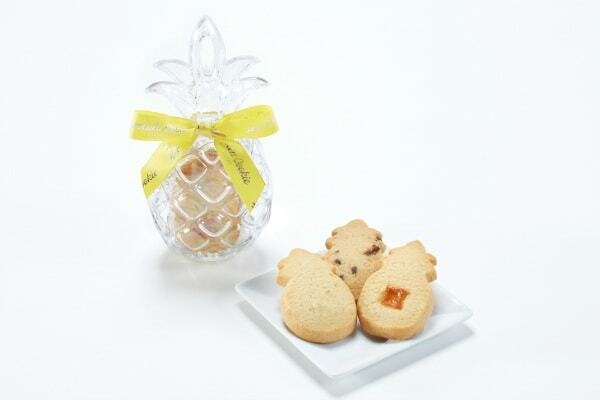 I love the shape of the Honolulu cookies….a pineapple means Welcome friends! I’ve follow you on Instagram! These cookies look especially pretty and must taste very yummy! Thank you for sharing your step by step & video recipes w/us. Your recipes are very easy to follow. You make cooking sooo enjoyable! Hey Nami, I have always use salt water gargle and then hot mint tea for my throat. You know I love your videos and recipes. Following Honolulu Cookie on Instagram. And their cookies look so good but never been to Hawaii. Following you on Facebook wow I feel like a stalker ???????? hope that ski trip isn’t the reason why you are sick now. Wait what’s instagram? ???? Just kidding, love the pictures and post on the page always fold there as well. What I like about your blog is that your recipes are the kind my mom used to make in Hawaii. She would cook from her heart without written recipes. My sister and I would ask her how to make a dish and she would want us to watch, e.g. Put a little bit of this and some of that, etc. When we cooked it never came out the same. She passed away several years ago. I live in California now. 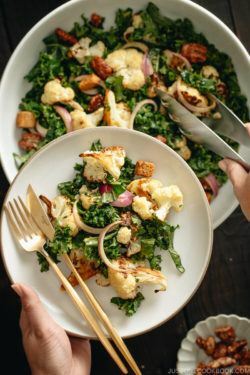 Your recipes let me cook like my mom did and share the joy of cooking with my children….but now I can share with them not only the joy of cooking but a recipe. You mean WhoTube? Lol, hope you and the family are having a good Sunday. Even though you have a cold ????. I am always subscribed to your channel ❤️???? Honolulu Cookie Company is my number one omiyage to bring back to California. Not only is it so Ono, it is pretty and they have a lot of variety! So hard to choose sometimes! I’ve subscribed to your EXCELLENT newsletter! That’s how I found your contest. Thank you! Nami, I lived in Okinawa when I was very young! I miss the recipes our nanny use to cook for us. I am following the beautiful photos of Honolulu Cookie on Instagram! I was glad to find your page on Facebook. Liked and Followed! Nami, how did you remember all of these recipes? They look delicious! Honestly I really want to try the cookies myself. Do I still post a comment below if I already follow you on Instagram? Don’t worry I plan on sharing the cookies. This is the comment for subscribing to your email newsletter. This is the comment for subscribing to your youtube channel!. Yippee! Cookies! Yay! A giveaway! Did four of them:) ???????? I am subscribed to receive your email newsletters. I am subscribed to your JOC Newsletter. I am subscribed to your JOC YouTube Channel. Im a subsciber to your email. I’m already a subscriber to your newsletter!!! Ticket 2: I liked your page on Facebook!!! Ticket 4: I follow you on Instagram!!! Love these cookies! They are super yummy! I just subscribed to your email newsletter. Love your blog. Met my hubby, married and had my first child in Hawaii. I would love these cookies! I have never tried these but you had me at coconut and pineapple! Heard so much about these cookies. Would love to one day try them. I’m sure I’ll be hooked. I liked your facebook page. ???? Followimg you on instagram. ???? Love love love your FB posts and these cookies! I already subscribe! And I love it! These cookies look so cute! Love and use all of your recipes!!! Oh, yes these cookies are soooo delicious! I subscribed to your youtube channel ! I follow your instagram ! I follow Honolulu Cookie’s instagram ! I like your Facebook page ! I am subcribed to justonecookbook. I haved like facebook page. I am subcribed to YouTube channel. I am following honolulucookie on instagram. These cookies are just scrumptious!!!!!!!!!!!!!!! Nami, Just love your recipes…very creative and delicious…………..A big Thank you…….. Thank you for offering another giveaway! I am subscribed to you email newsletter. I am following the Honolulu Cookie Instagram.. they look soooo good. I am following your instagram page. I’ve already liked your Facebook page. I already follow your Instagram. Increased my luck by one! Followed HCC on IG! My father lives in Honolulu so I have visited him a few times. I love Honolulu Cookie company. I have a frequent visitor card but I cannot get it punched often enough when I only visit every few years. I would love to win box 1 or 2. I simply adore most of the flavors. Good luck everyone! I’ve subscribed to your email newsletter so excited!! I’ve been subscribed to your channel for awhile now. A HUGE HUGE fan of both Honolulu Cookie Company and you!! I found your cookies when we were on Oahu. They are wonderful! Love the cookies! Thanks for a chance to win! Adorable! They look delicious too. Honolulu cookies are the best. 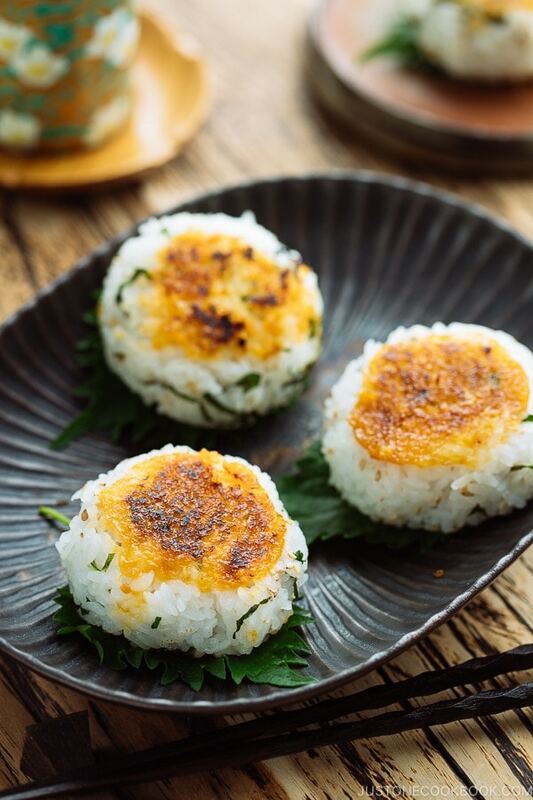 Love Just One Cookbook–your articles and comments and recipes are always extremely interesting and so helpful–also, love your travel to Japan info! Look forward to your emails which are the best!!! I have followed Honolulu Cookie Company on Instagram! One of our clients at work sent us some of these cookies; they’re really delicious! 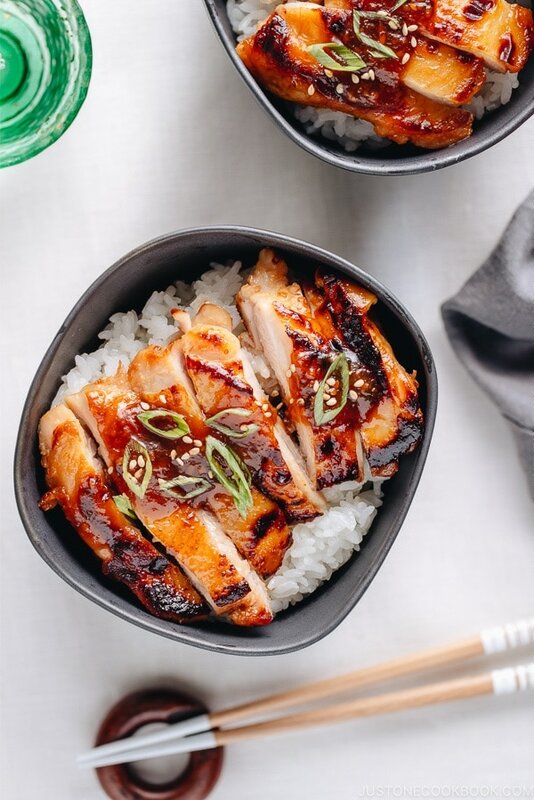 I enjoy seeing your articles and recipes! Already subscribed to your newsletter! Which I hope you are feeling better! I’ve been sick all month with a bunch of different things one after another. It has not been fun! So I know the feeling. Coughs are hard to get rid of and I haven’t quite found one thing that really helps, sorry! Honey, maybe ginger tea may help. I hope something does!! I already followed Honolulu Cookie Company on Instagram under the username; hildeinhawaii . I like that it’s their new set as I was debating on getting one to send to a friend but did a custom box instead since there wasn’t enough room in the box I’m sending her stuff in, hehe. But I didn’t get to try all the new Guava cookies either. I already follow your Instagram under the username: hildeinhawaii . I already subscribe to your YouTube channel I think it should be under my name. Love your recipes and would love some yummy cookies as well! I am subscribed to your YouTube channel. I really enjoy watching your videos of recipes. It’s helpful! I follow the Honolulu Cookie Company on Instagram as well! heyyy i would like to enter for giveaway!!! These are my favorite cookies. Discovered them on my last trip to Maui. So good!!!! Followed the Honolulu cookie co. They are the best tasting! Thank you for all your delicious dishes! Just enjoyed watching you make one of my favorite dishes; takoyaki. Looks so good! Wow, the cookies are so kawaii and surely look yummy. 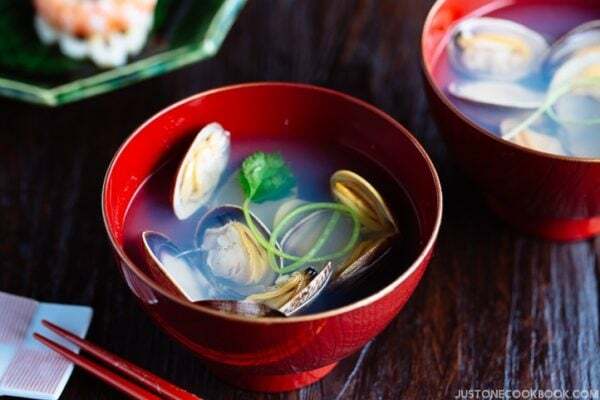 Especially enjoy the recipes that remind me of my long childhood days, when my grandma, who was from Japan, would often cook for us. …and I’m now following Honolulu Cookie Co. Instagram. Subscribed to Honolulu Cookie Company on Instagram. Following and liked on Facebook. Thanks for the chance!!! Subscribed to YouTube channel. Thanks for the chance!!!! Following Honolulu Cookie Company on Facebook. I’ve tried to subscribe to your newsletter 7 or 7 different times with both my email addresses and every time it says email address is not valid. Please help!!!!! THank You!!!!!!! Newsletter sign up worked through website away from Facebook. love getting your email newsletters! I already subscribe to your e neweletter. Thanks for the giveaway. These cookies are awesome and my mom would love them! I already like you on Facebook and enjoy your posts! Thanks! These were some of my favorite souvenirs after visiting Honolulu. The guava and lilikoi are delicious! Awesome! I’d like to try them! Follow u on instagram too! Thanks a bunch! Followed the lovely Honolulu Cookie Company on Instagram! following HCC on IG now, too! Following you on Instagram! These cookies are one of push island favorites!! Hi! Liked your facebook! Hope to try these cookies which I regretted not getting while in Vegas! Hi! Followed your account on Instagram many months ago and love all those food, recipes & travel sharing! ☺️ ME LOVE FOOD TOO! What a lovely giveaway and these cookies are too cute! I’ve been a subscriber for awhile! Yay!! Love to try them out.???? I found the history of children’s day fascinating.i didn’t realize the long history of it. Also abt the Iris flower! Fascinating. Learned history and the recipes for May!! 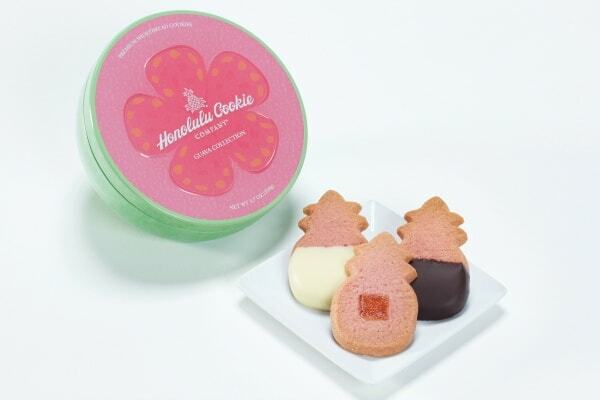 Honolulu Cookies … Looks Delicious! Yay!! I love Honolulu cookies!! Love reading your blog and can’t wait to try out the recipes! I can use an Hawaiian treat – it’s cold, grey and rainy here in Michigan! Email subscriber here. These cookies look delectable! I subscribed to your newsletter for a while now. 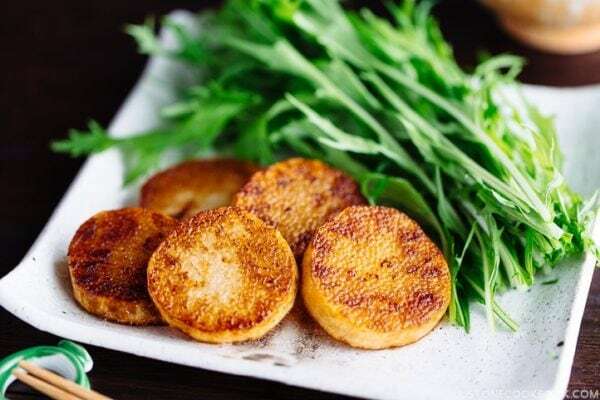 Thank you as always for delicious and practical recipe. My husband and I lived in Hawaii for 20 years and had to move back to Michigan to care for my parents. We have never had opportunity to go back but we long for the food and treats of Hawaii. I do my best to make the local dished but these cookies are something I could never do and get it right. Hopefully I will be the winner. Those cookies look so delicious!! I love watching your videos. You make everything look so easy and unintimidating. I’m having so much fun cooking your recipes for my family. I’m already subscribed to your newsletter. Aloha from Honolulu, Hawaii. Your website looks great! Cant wait to try some of the recipes.